Luxury Ranch-Style Home: How Remote Is Too Remote? It’s not hard to understand why many people dream of owning a custom luxury ranch-style home. There are several advantages to buying in a remote location including privacy and the unparalleled beauty of Mother Nature. But is building a remote home all it’s cracked up to be? There are a few things to consider before deciding on a location – arguably the pillar of all real estate decisions. You might think the hardest part about living outside the city limits is a longer work commute or inability to run quick local errands. In actuality, there are far more important ramifications to consider. Insurance Costs: Homeowner’s insurance is based on a variety of risks that tend to be much higher for remote locations. Coverages are based on the cost to rebuild your home in the event of a loss which is significantly higher for single homes set apart from residential communities. Consider the distance to the nearest fire station. If you live among trees, brush, and high grasses in a hot, dry climate like Arizona, you may face a higher probability of brushfire. All of these factors can cause a substantial increase in insurance premiums. Local Regulations: Due to the Wilderness Act of 1964, you may be restricted when it comes to renovating existing properties and leasing the land to future tenants. Wildlife preservation, while unquestionably necessary, can have a lasting impact on your dream home. If you plan on building a luxury home, make sure you properly research the area and consult with local companies who understand the respective laws. Weather and Wildlife: Mother Nature is less forgiving of areas that lack the safety and evacuation plans of established custom home communities. Will you have rodents or birds invading the property or destroying its foundation? This could become an issue if your custom home will be a secondary residence. Have there been any recent incidents of large animal encounters? What if you’re in a flood zone (which requires its own separate insurance policy)? Such considerations are less about convenience and more about catastrophe. Fortunately, there are endless options for custom homes that provide a feeling of remote living while still offering the best luxury real estate perks. Arizona towns such as Marana encompass several high-end communities amid beautiful mountains with city life merely a short drive away. You’ll have all the benefits of nature with none of the increased risk that comes with living in a desolate area. 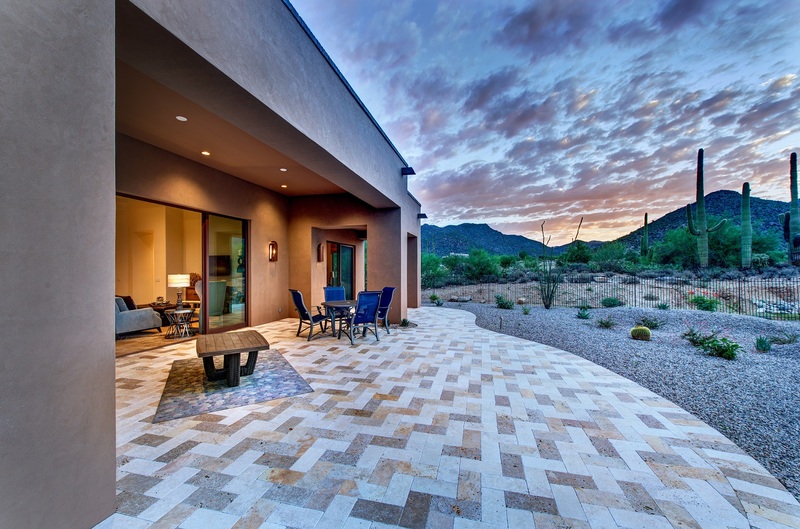 The Residences at The Ritz-Carlton, Dove Mountain in Marana, for example, offer several amenities and community features that make a strong case for your home’s overall purchase and resale value. If real estate is about location, location, location, it behooves you to weigh the pros and cons of true remote living versus luxury homes with an ambiance of seclusion. You can still have your proverbial cake and eat it too with a custom luxury property that’s far enough removed from buzzing city life yet close enough to make things easier on yourself and your pocketbook in the long run.